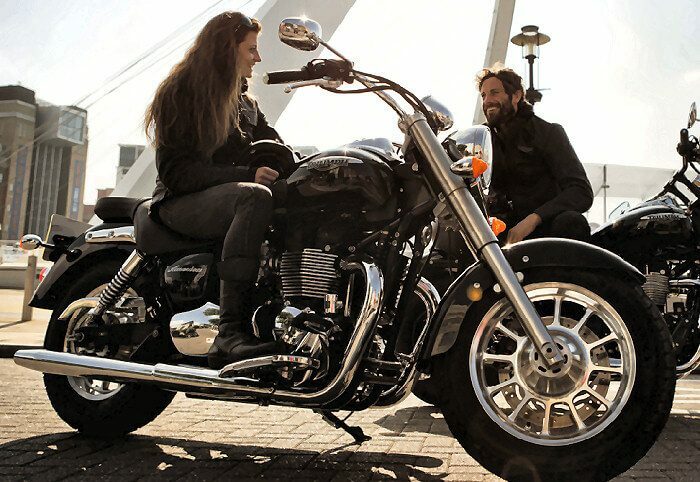 The latest data from the Motorcycle Industry Council shows that motorcycle ownership by women is at an all-time high. According to a survey by the Council, 14% of motorcycle owners in the U.S. are women, with the number rising from 8% reported in 1998. For younger generations, the percentage of women riders is even higher. For Gen X, women account for 17% of the owners, with the number rising to 17.6% for Gen Y owners. When it comes to boomer motorcycle owners, women account for 9%. 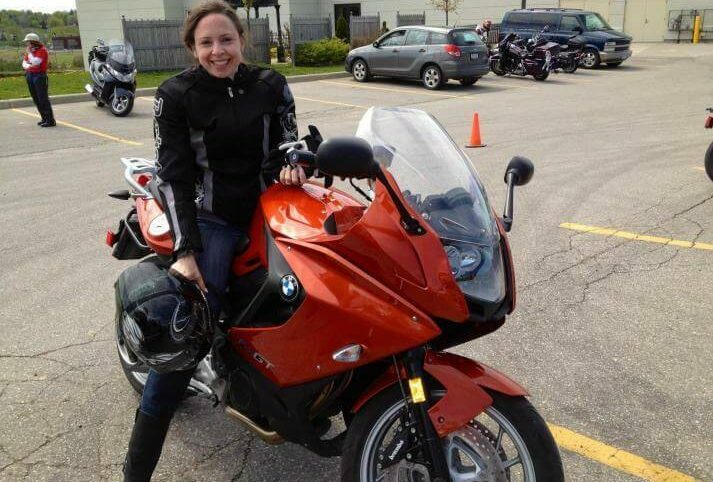 So, which are the best motorcycles for women? According to the survey, women tend to go for cruisers. These are smaller road bikes that give the rider the ability to sit upright and extend the feet forward, providing a very comfortable riding position. 34% of women riders prefer cruisers. 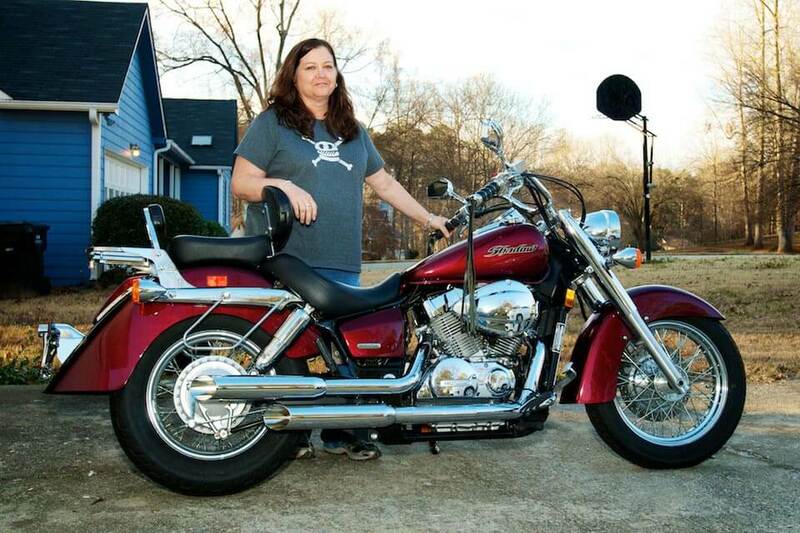 For female motorcyclists, the median age is 39, down from 48 for male riders. Also, 57% of female motorcyclists prefer new bikes. This is a bike from BMW featuring a 798cc engine to deliver sufficient power. The fuel capacity comes in at 3.9 gallons, and the overall weight is 509 lbs. The seat height stands at 31.5 inches, suitable for most women. The MSRP for the bike is $11,890. The Spyder F3 comes with a massive 1,330cc engine and a huge gas tank that holds 7.1 gallons. The bike weighs 850 lbs. and the seat is at a height of 26.6 in. The bike retails for $19,649. 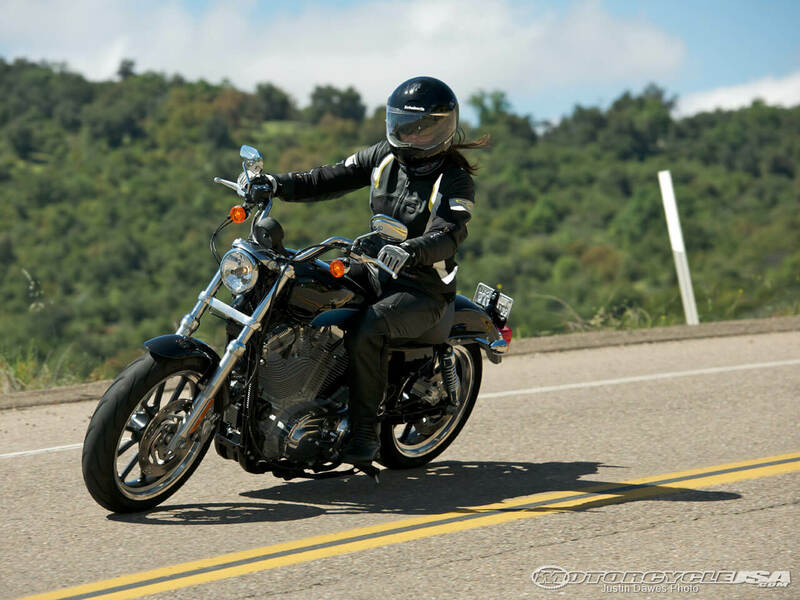 It is hard to imagine a Harley Davidson for women, but the Sportster SuperLow is a bike designed with women in mind. The bike features an 883cc engine and a fuel capacity of 4.5 gallons. The bike weighs 565 lbs. and the seat height is 27 in. 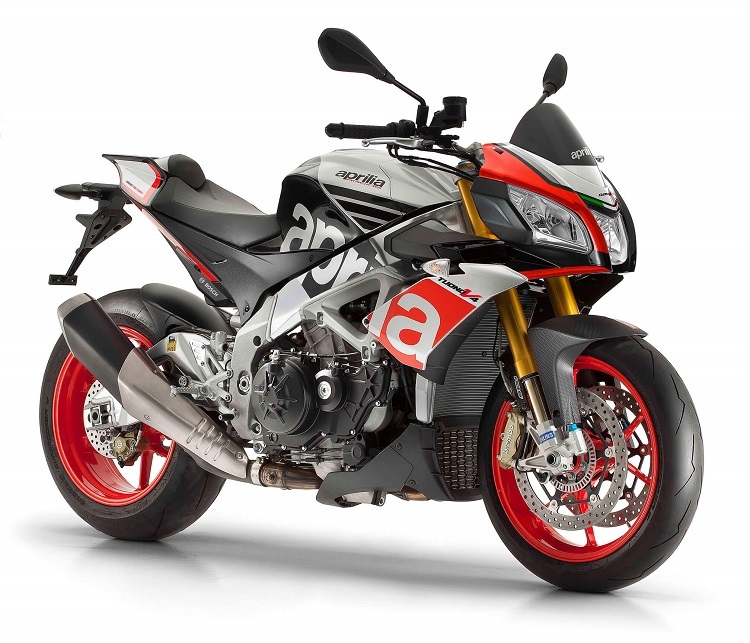 The MSRP for the bike is $8,499. 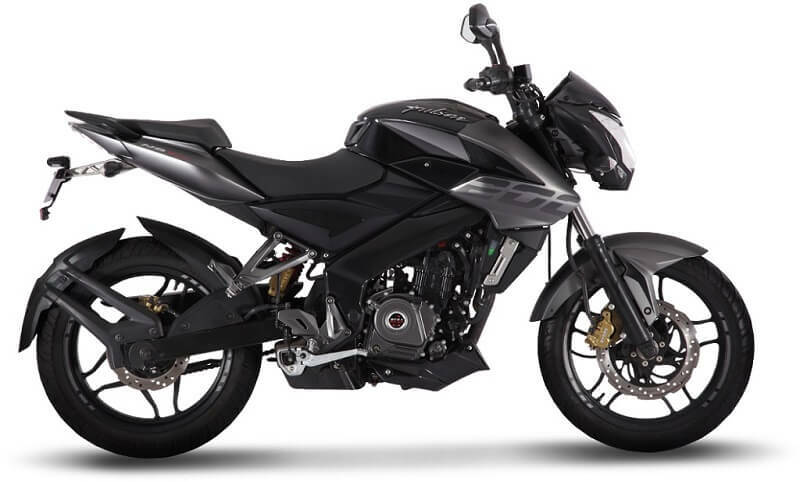 The Shadow Aero comes with a capable 745cc engine coupled with a 3.7-gallon fuel tank. The bike weighs 650 lbs. and has a seat height of 25.9 in. The bike retails for $7,499. The Indian Scout Sixty features a 976cc engine and a 3.3-gallon fuel capacity. The bike weighs in at 558 lbs. The seat height is 25.3 in. and the bike’s MSRP is $8,999. 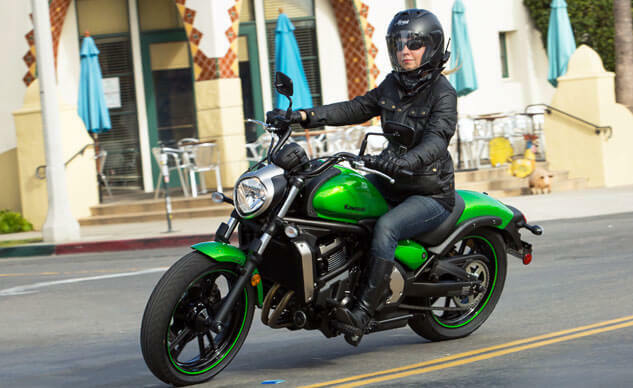 The Vulcan S is a Kawasaki for women and comes with a potent 649cc engine fed by a 3.7-gallon fuel tank. The bike weighs 498 lbs. and has a seat height of 27.8 in. The bike sells for $6,999. 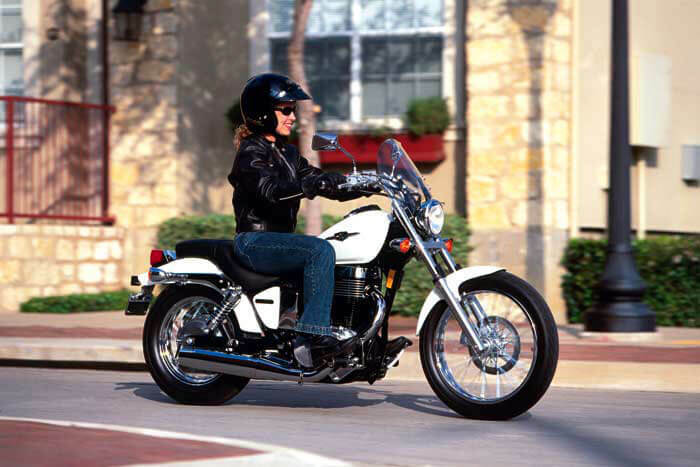 The Boulevard S40 is a Suzuki for women featuring a 652cc engine and a fuel tank with a capacity of 2.8 gallons. The lightweight bike weighs 381 lbs. and has a seat height of 27.6 in. The bike’s retail price is $5,499. The bike comes with an 865cc engine and a fuel capacity of 5.2 gallons. The bike weighs 509 lbs. and has a seat height of 27 in. 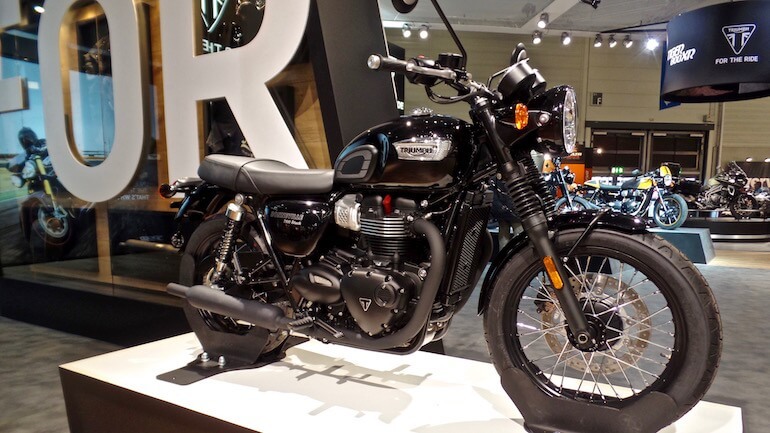 The Triumph America retails for $8,399. 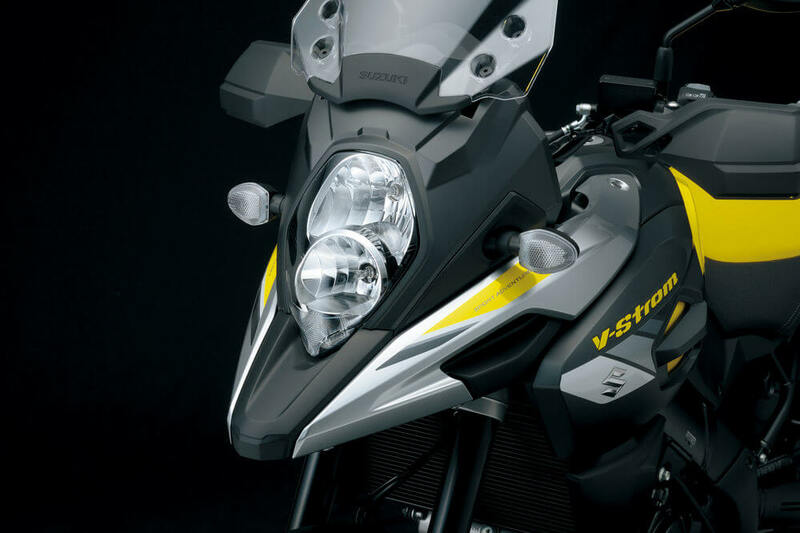 The V Star 250 comes with a 249cc engine and a 2.5-gallon fuel tank. The bike is quite light, weighing only 326lbs. The seat height is 27in. and the bike retails for $4,340.